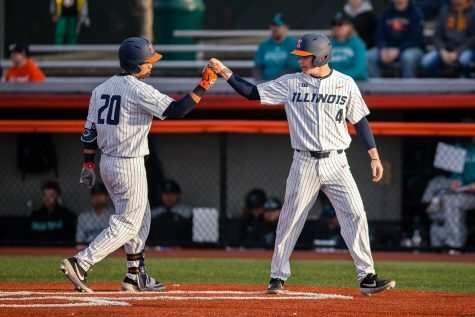 Illinois head coach Dan Hartleb emptied his bench Tuesday night in a 13-3 win against Western Michigan. 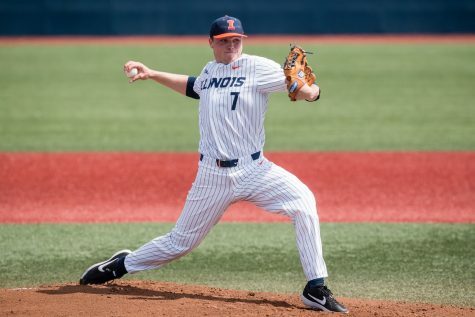 Fifteen different Illini stepped up to the plate in the non-conference matchup, but none will remember the night more than Mark Skonieczny. 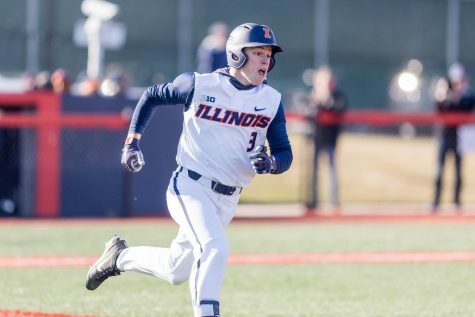 The junior hit his first-career home run in the six-run third inning for Illinois (15-19). Skonieczny finished the night 2-for-3 with three RBIs and a walk. 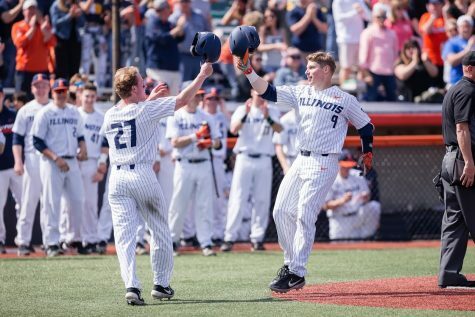 Skonieczny said the home run was not what he was most excited about after the game, which was Illinois’ ninth win in its past 12 games. “I’m just more excited about the team win,” Skonieczny said. 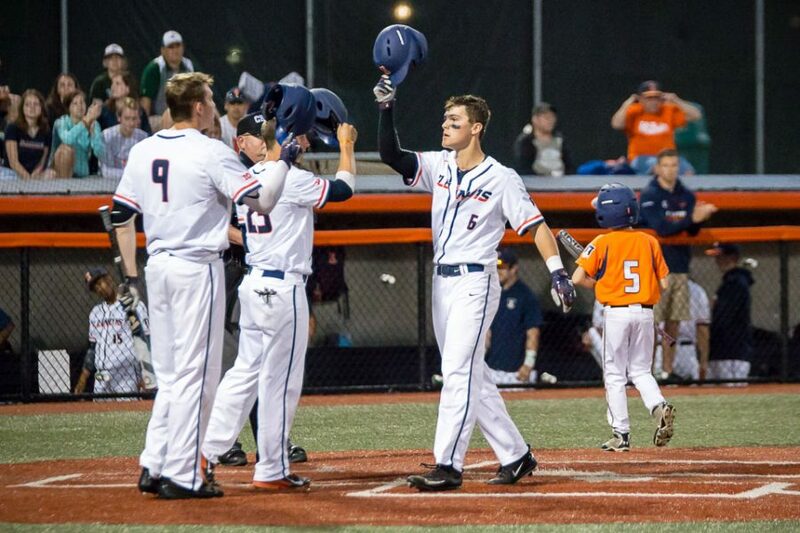 Skonieczny was one of three Illini with a home run against the Broncos. 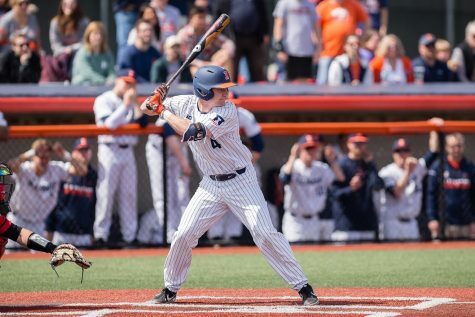 Third baseman Trent Hammond hit Illinois’ first inside-the-park home run since 2013 in the third inning. Second baseman Michael Massey hit his fourth home run of his freshman campaign in the fifth inning. Massey, who finished a triple shy of a cycle, said Hartleb has been looking for a different approach from his hitters lately. Illinois’ offense finished with 14 hits. 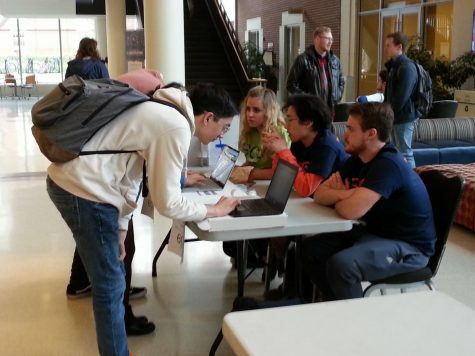 The Broncos, however, assisted the Illini by committing five errors. 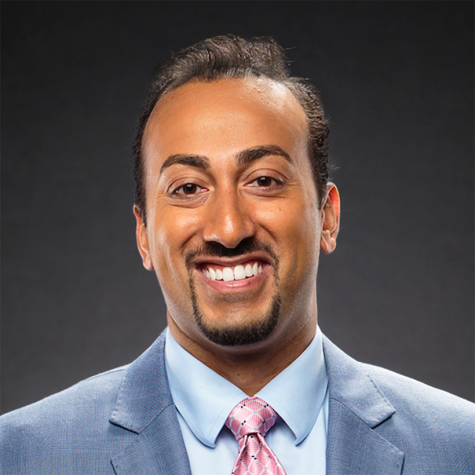 Eight of the 13 runs Western Michigan pitchers gave up were unearned. 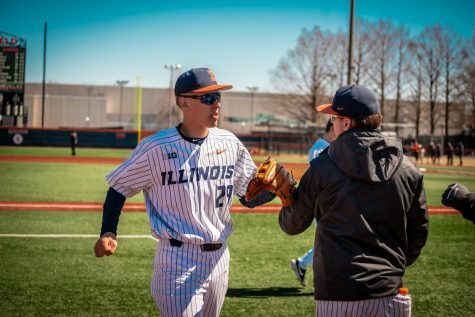 Right-handed pitcher Cole Bellair got the midweek start for Illinois. 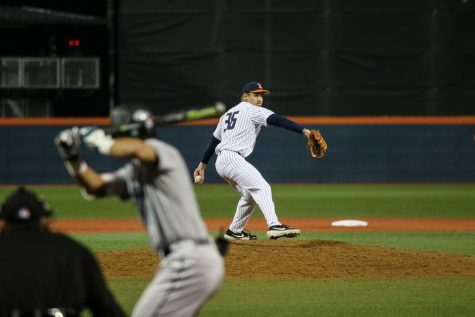 The sophomore allowed six hits and two earned runs while striking out six Broncos over six innings. 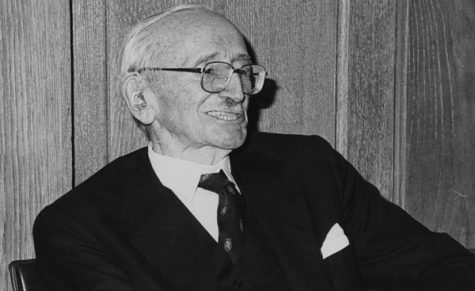 Bellair faced four hitters or fewer in five of his six innings pitched. Massey said he appreciated Bellair’s ability to work fast and efficiently Tuesday. “Cole did great of having quick innings and not keeping us out on the field,” Massey said. Sophomore Tyler Engel made his first career start against Western Michigan (14-18). Starting shortstop Ben Troike missed the game with a non-throwing shoulder injury. 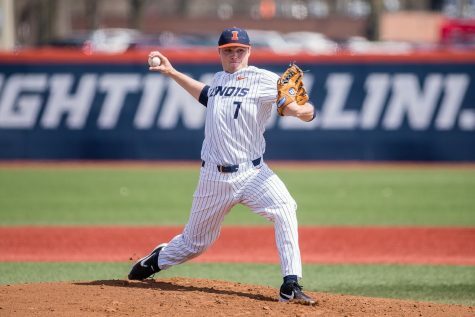 Seven of Illinois’ nine starters recorded at least one hit. Left fielder Dan Rowbottom and first baseman Pat McInerney did not record a hit, but they each scored at least one run. Grant Miller and Evan Nelson hit solo home runs for the Broncos. 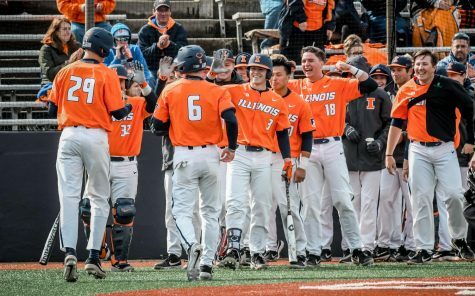 Illinois does not return home to Illinois Field until May 5 against Maryland. 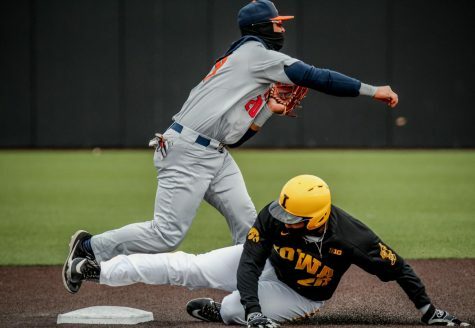 The Illini travel to West Lafayette, Indiana, this weekend for a Big Ten series against Purdue.